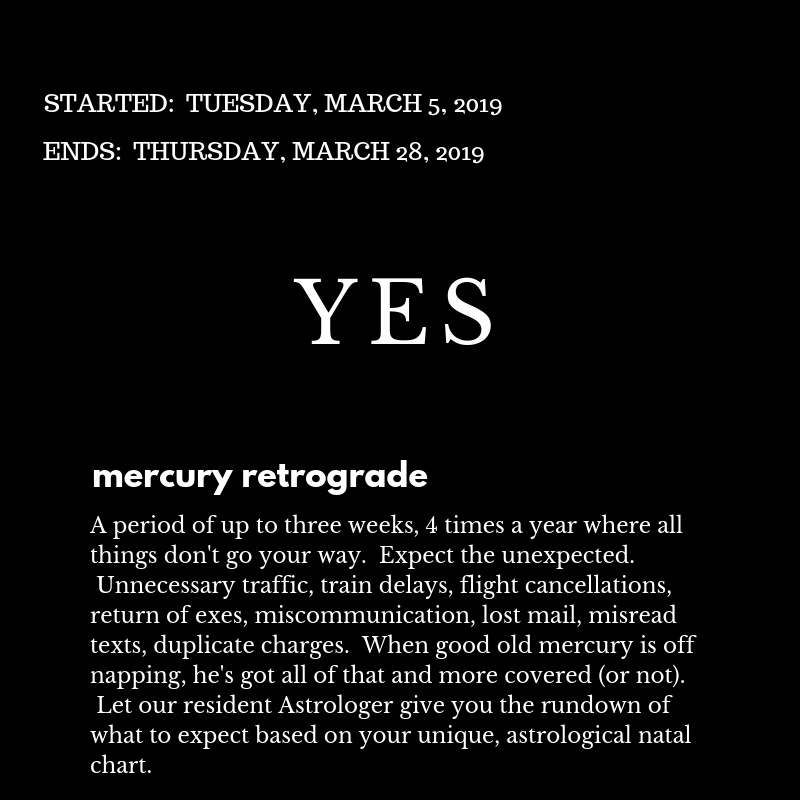 Is Mercury Retrograde right now? Mercury’s first retrograde is in March! Are you ready for a little shake up? If you want to learn more about Mercury Retrograde, be sure to check out When Mercury Goes Retrograde on our blog. Good luck, ya'll. Loads of light and magic!